AUGUSTA, Maine — With the approval of the House of Representatives, two of Maine’s Indian tribes are closer to realizing their longtime goals of opening their own casinos. Another two tribes are on their way to modernizing their high-stakes beano offerings. Members of the House of Representatives on Thursday took turns heaping support onto the measures to allow the Houlton Band of Maliseets, the Passamaquoddy Tribe, the Penobscot Nation and the Aroostook Band of Micmacs to expand gaming. The three bills related to gambling operations by the tribes were all passed with bipartisan support. The Passamaquoddy Tribe first attempted to build a casino in Washington County in 1993. 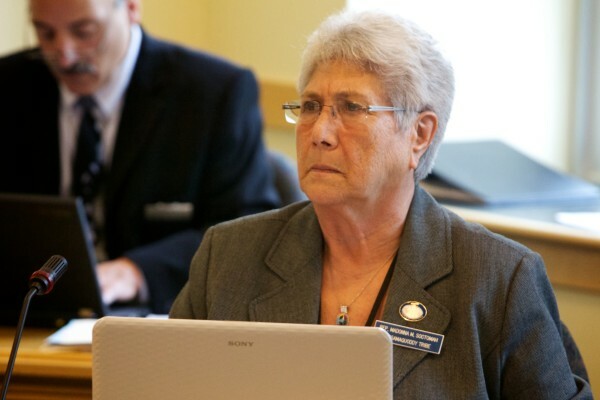 Rep. Madonna Soctomah, the tribe’s nonvoting member in the Legislature, said that after 20 years, during which time the state was opened to gambling, there are two casinos in Maine: Hollywood Casino in Bangor and Oxford Casino. Both are owned and operated by out-of-state gambling firms. Soctomah delivered her floor speech in her tribe’s language as well as in English. She said the casino, which would open at the site of the tribe’s high-stakes beano games, would be a boon not only to her people, but to the whole county, which is Maine’s poorest. Rep. Henry John Bear, who represents the Houlton Band of Maliseets, said the bill to allow his people to open a casino in Houlton is a recognition of the Maliseets’ ancestral gaming tradition. The Houlton casino would require the approval of the voters in Aroostook County. The Washington County casino would not require a referendum. Voters in Washington County have signalled their enthusiasm for a casino in several statewide referendums, most recently in 2011, though those efforts were defeated by voters elsewhere in the state. Both facilities would feature slot machines and table games. Officials from both Oxford and Hollywood casinos oppose the proposed casinos by the Maliseets and Passamaquoddy, saying the expansion of gambling in Maine will cannibalize the fledgling industry, putting the jobs in Bangor and Oxford at risk. Some lawmakers who opposed the bills said the state needs to develop a complete regulatory system for approving new casinos in the state, rather than approaching each proposal piecemeal. A group of stakeholders and legislators was convened this year to try to come up with such a system, but it disbanded after failing to come to an agreement. The third bill approved by the House would authorize the Penobscot Nation and the Aroostook Band of Micmacs to use electronic beano games, which could replace the traditional paper-and-ink version of the game. Unlike traditional beano, which requires a group of players, individuals could play beano alone at the electronic terminals. Penobscot Nation Rep. Wayne Mitchell said the move is simply a way to modernize the beano game. The proposal was the only one of the three Indian gaming bills that drew vocal opposition from any representative in the House. Rep. Stephen Moriarty, D-Cumberland, said he thought the bill was a disingenuous attempt to open another casino. All three bills will be sent to the Senate for initial votes, likely sometime next week. The House delayed action on a fourth bill, which would pave the way for Scarborough Downs to open a slot machine facility somewhere in Cumberland or York county.